Not surprisingly, we found more SKUs on the Tesco’s website than on Sainsbury’s - about 10,000 more in fact. We also found over 175,000 more reviews, which at face value can seem like a lot, but some of those reviews are most likely repeated across slightly different products, such as different shades of hair dye, as some sub-brand skus have the exact same number of reviews. While Ratings & Reviews on Sainsbury’s site are dominated by just three companies, Tesco.com shows a fairer spread with just P&G out front. If you’re wondering why market leader Tesco has not released reviews so far, I think we might have an answer in "4.0". 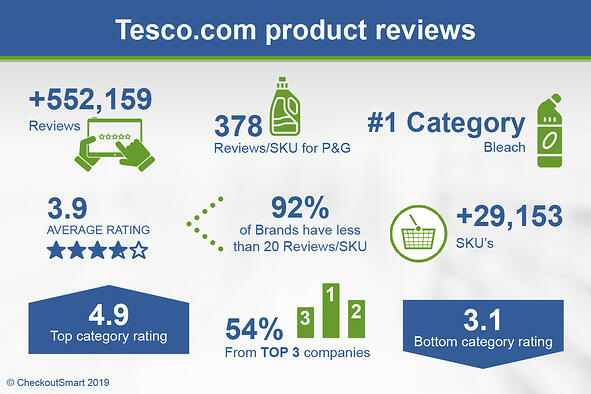 If you look at the centre of the table you can see that across their nearly 8,700 SKUs, Tesco averages just 4 reviews per sku with an average rating score of just 4.0, less than the average of all reviews on their site. 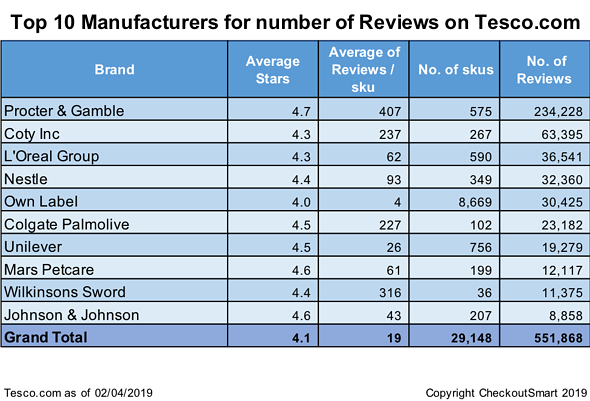 It’s also worth noting how highly rated the other manufacturers with lots of reviews are. They all average over 25 ratings per SKU (we recommend you get above 30) and the lowest average is 4.2 versus the total of 3.9 over the whole site. We know that most, if not all of these manufacturers have put considerable effort into collecting these reviews. P&G for example use their SuperSavvyme website (in the US PGEveryDay), where shoppers can sign up for coupons on products and are then asked to submit reviews. These reviews are syndicated onto the Tesco site and others. This requires a considerable amount of global investment and is not a solution that would work for many. You don't need to go to the trouble of replicating the P&G solution. CheckoutSmart already has a big audience of members that will shop for your products and deliver reviews as part of its Ratings & Reviews Program. Contact us to find out more about our ratings & reviews program. What about food & drink reviews? From the above we can see that Health & Beauty companies dominate reviews with 7 out of the top 10 brands, indicating they have embraced ratings and reviews on the whole. We focussed on food & drink brands with more than 10 SKUs and more than 20 reviews per SKU, to get an idea of larger brands with a robust set of reviews. This brought the number of brands down from 335 to just 66, meaning less than 20% of larger brands have a good number of reviews per SKU. Top of the pack is Lavazza with a rating of 4.8, ahead of Fever Tree and Magnum. Large players also come through with Unilever, Nestle, and Danone all having a presence. The nearest thing to an independent in this group would be Fever Tree with their impressive second place. Are ratings & reviews only for the biggest companies? 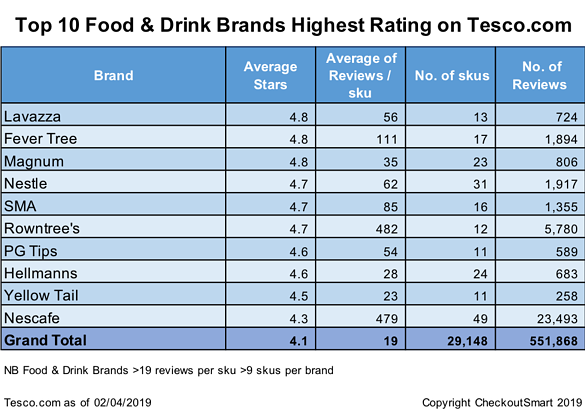 It seems that until recently, ratings and reviews have been the sole domain of the largest food & drink companies and health & beauty manufacturers. This is probably due to the significant initial investment required to set up such programs. That has now changed with the arrival of the RRP program from CheckoutSmart, which allows brands of any size to be part of the ratings and reviews revolution. 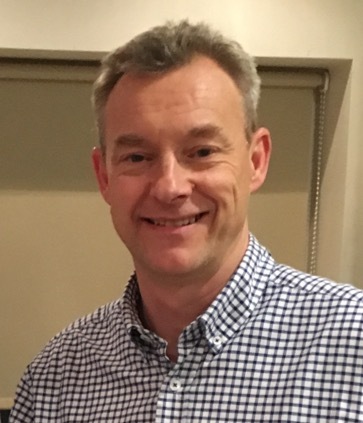 For as little as a few thousand pounds per SKU, CheckoutSmart delivers a program that creates a group of verified buyers and asks them for reviews. These genuine reviews are then posted by our shopper members directly on to the retailer site without any subjective content moderation. Any moderation for inappropriate content such as profanity is then undertaken by the retailer themselves, leaving genuine, shop-based, real life, verified reviews. What is a good star rating on Tesco.com? This chart shows that if you remove brands with only a few reviews then the average star rating rises for the remainder to 4.2 from 3.9 with the median of 4.3. That means, if you want to stand out from the crowded shelf with a good score, you should be above 4.3. 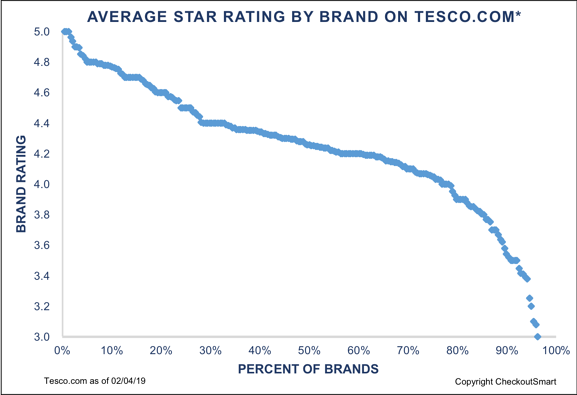 Not forgetting all brands with a total of more than 2,000 reviews on Tesco have an even higher average rating of more than 4.6. To do that you will need to take action to get more reviews, as the biggest players have. To catch up with P&G etc you could go to the trouble of creating a your own version of Supersavvyme. That is going to take you a long time and some considerable expense. Instead, you could go to digital Shopper Marketing agency CheckoutSmart who are the market leaders in grocery mobile coupon delivery and get them to create a group of verified purchasers of your products and ask them to leave a review within a week of starting the campaign. If you want to get started collecting Ratings & Reviews, then contact us right away. If you want to know more, why not read our Blog article about our launch of Easy online grocery reviews.? Then download our Ratings & Reviews Case study or contact us direct to see how we can help you get reviews quickly and make a lasting impact on your online presence and sales. Finally, for your free brand report for your category, just get in touch and we’ll happily send you one over.